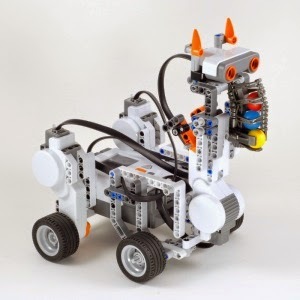 After building simple classroom robots and programming them to drive around and sound sirens, most students were eager to build more complex and cool-looking robots. On the other hand, I wanted them to learn more programming, this time with some sensors to make robots do something in response to external events. 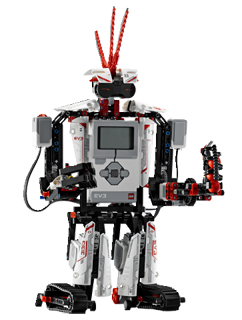 In the end I decided to offer them a selection of more complex robots (with sensors). This way they will satisfy their interest in building and end up with a platform for further steps in programming. The only issue is that some teams picked robots that might be a bit too complex for them to build! 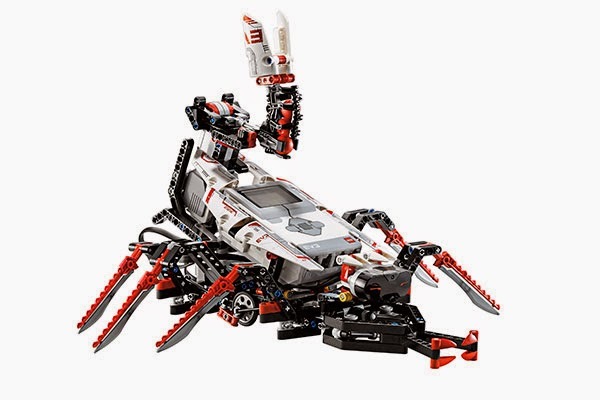 We now have 7-8 year old girls building EV3STORM that is the biggest model featured on the retail box. It is very challenging to follow instructions exactly for long time, find the right parts and connect them in the proper way. Perseverance, fine motor skills and the ability to go from printed paper to 3D model are called upon. Some components are exactly the same, but mirror each other (left and right legs). If you omit a step or connect parts in wrong way in at least one places it will become apparent sometime later and retracing back will be required. It will take several sessions to complete and will be interesting to see how it works out for everyone. Here are some of the robots that are currently being built.